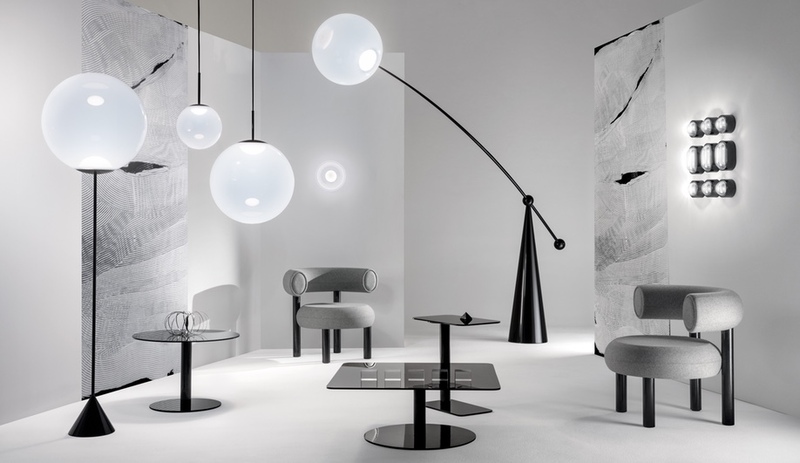 French designer Florent Coirier applied a light touch to this sophisticated take on the club chair. 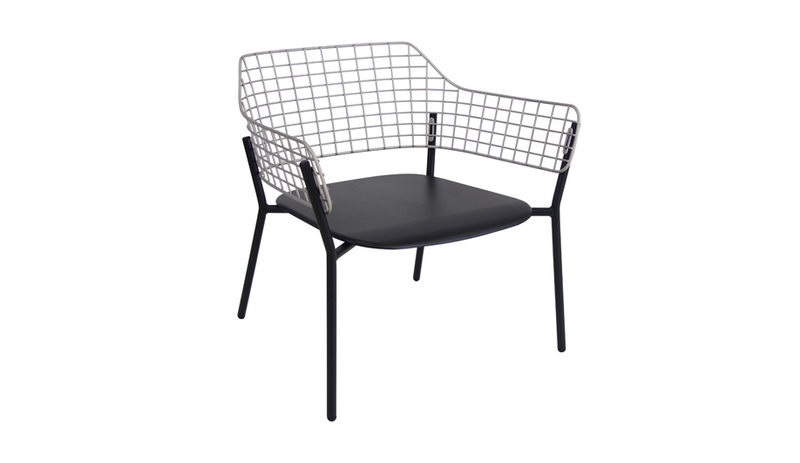 The detailed metal grid backrest is affixed by screws to the lightweight aluminum frame, which means the back and base colours can be mixed and matched. A contemporary nod to Campaign furniture, these folding chairs by Ludovica and Roberto Palomba offer a transportable seat in the sun. The removable polypropylene fabric arms and back come in 11 colours and feature large storage pockets. Adding to their versatility, the fabric covers can be paired with any of the five frame colour options. 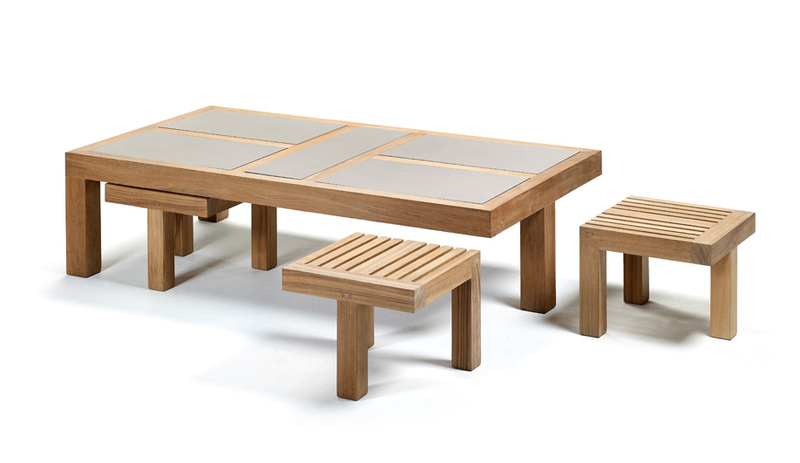 Jasper Morrison turned to traditional plank construction for this series of handsome outdoor furniture. 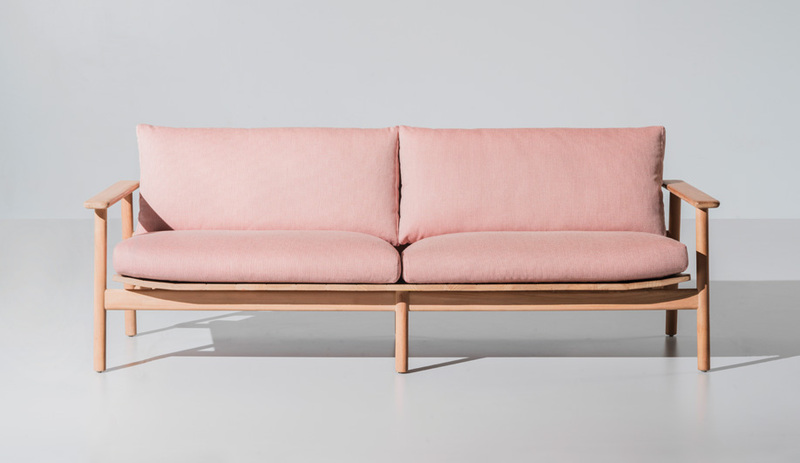 The generously proportioned teak pieces include two- and three-seater sofas, armchairs, dining tables and chairs, small tables and a lounger. 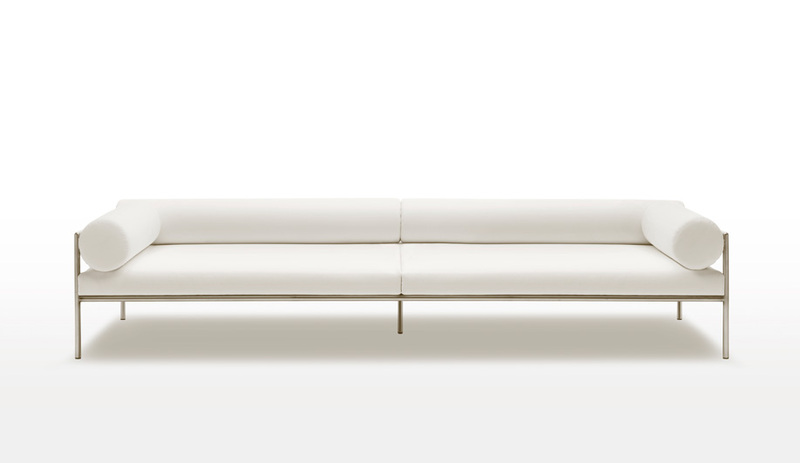 Reminiscent of a Turkish daybed, the low-slung lines of this indoor/outdoor sofa by Spanish designer David Lopez Quincoces are balanced by the thin but plush mattress and matching bolster cushions. 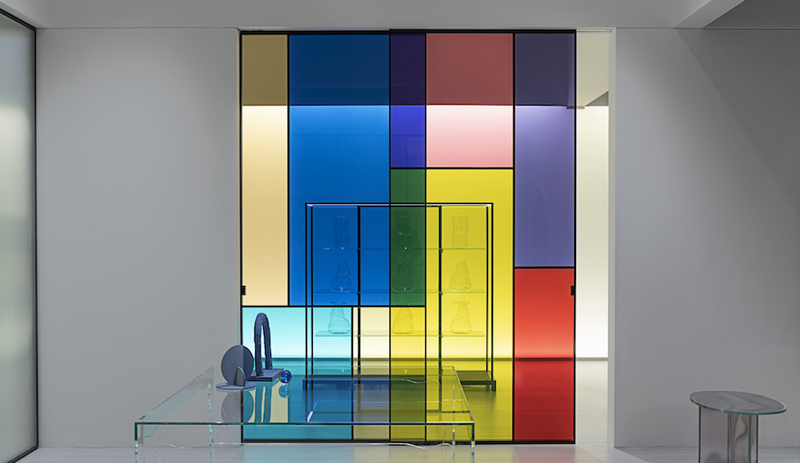 The metal frame can be stainless steel or lacquered gunmetal grey. 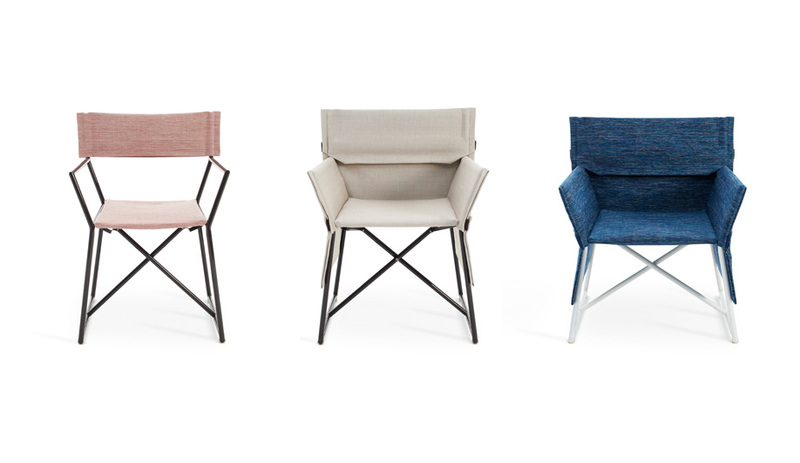 Six seat variations define the versatility of this stacking chair collection. 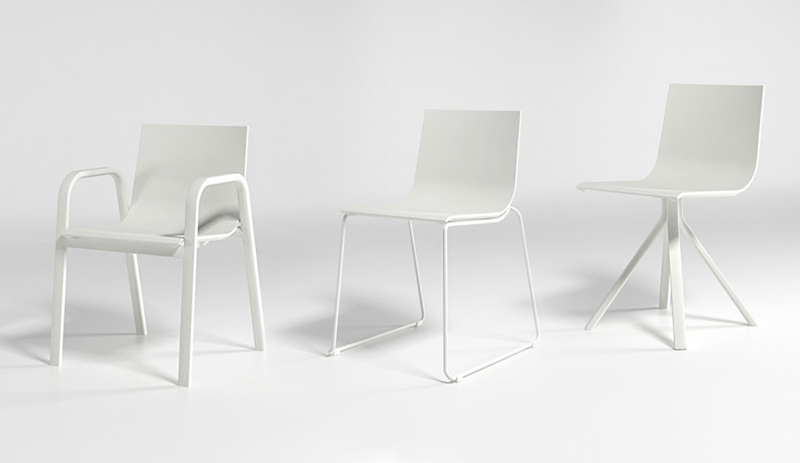 The simple lines have a nautical aesthetic and all models are made of powder-coated aluminum and polyurethane. For the first installment in the Belgian brand’s limited-edition Black Label series, French landscape designer Louis Benech straddles the line between refinement and rusticity. 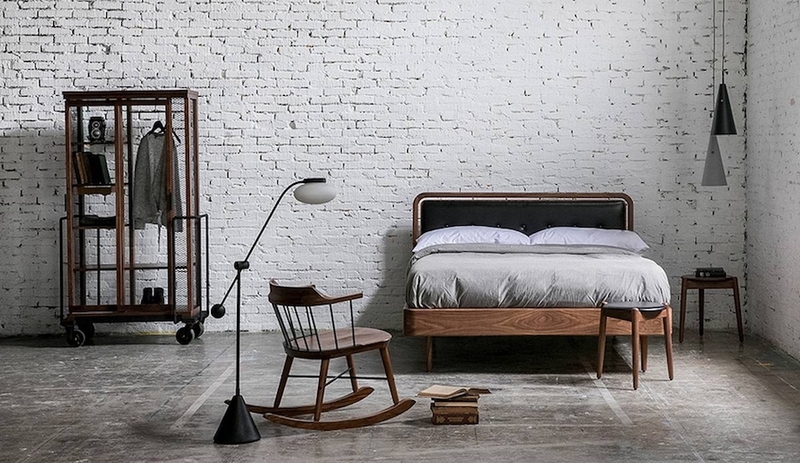 Hand-made from teak, the collection includes a bench, an armchair and a low side table set (shown) that sees three-legged stools do double duty as seats or tables. The dining table features ceramic insets. For more outdoor options, here are some lovely lights to pair with these seating collections.